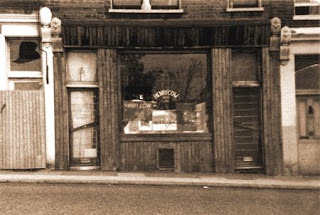 Dopo la chiusura del 'mitico' club The Red Rose di Seven Sisters Road al jazz e alle musiche di improvvisazione, la London Improvisers' Orchestra ha trovato ospitalità per le proprie sessioni, per tradizione la prima domenica di ogni mese, presso il Cafe Oto. Dell'orchestra - collettivo mutevole e assai flessibile, dove comunque ricorrono le presenze di Harry Beckett, Ian Smith, Terry Day, Alan Tomlinson, Caroline Kraabel, Lol Coxhill, Sylvia Hallett, Pat Thomas, Steve Beresford - è disponibile da poco un nuovo cd, Improvisations for George Riste, per l'etichetta curata da Evan Parker, psi. E ancora a proposito di anniversari per Henry Cow: esattamente trent'anni fa si teneva a Milano, in piazza del Duomo, il loro ultimo concerto. Era il 25 luglio 1978. "There are a million ways to tell this story: through the music, the social arrangements, politically, artistically, subjectively. Certainly every member of the group would have a very different version. I'll just try to give some bones, some significant events, a little background and say, now and then, how, I felt about some of it. Memory is treacherous, so I write this referring as much as possible to contemporary documents and notes. Most what follows is adapted loosely from something I wrote for Andy Ortmann soon after the band broke up. Which explains why the style is sometimes a little odd. Henry Cow was first and foremost a performing group; none of the records get near to what we were like on stage, and of course, there is a mass of music that we never even tried to record. For the bulk of our touring life, there were as many women in the band as men - road crew as well as performers. Henry Cow was a full time project and we pretty much lived on top of each other for about 5 years, either on tour or rehearsing. We lived frugally - all the money we earned went into a kitty to pay for equipment, vehicles, repairs, and travel. Only in the last three-and-a-half years were we finally able to pay ourselves anything (£10, £15, £20 and in the last six months £25 a week). The band fed us - that was my job, with Maggie Thomas, who came on most of the tours with us and ended up being our sound engineer. John's wife Sarah was also our sound engineer for a long time, and their tiny son Ben travelled with us a lot, as did Dagmar and Anthony's son Max. The group was run through a combination of meetings - formal, weekly, minuted meetings - and personal zones of responsibility (for accounts, catering, route planning, administration, maintenance and so on). We wound up in a lot of bizarre places and did some things which, looking back, might appear extremely eccentric - noble - ridiculous - stupid - idealistic but which seemed perfectly reasonable at the time. There was hardly any outside - so where would perspective come from? I just mention it, since there's no space for any of that in here. Your cue, then, to dip what you read below into a pot seething with failure and achievement, art and psychology, agape, confusion, suffering - and moments nothing could improve upon. And hormones. Lots of hormones. You talk about a revolution? We 'eel.. someone else already had the last word on that: It was the best of times, it was the worst of times." In http://www.schl8hof.wels.at si legge il programma - ancora provvisiorio - della ventiduesima edizione del festival Unlimited a Wels, Austria dal 7 al 9 novembre 2008. Dalla programmazione radiofonica di Resonance FM - che si puo' seguire anche da http://resonancefm.com - due appuntamenti di interesse, in calendario entrambi il prossimo 25 luglio: una conversazione con Terry Day e un nuovo episodio della serie The Bing Selfish Radio Show. 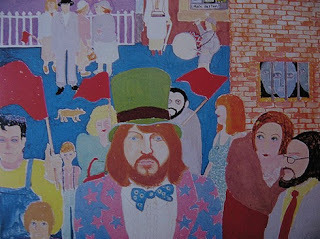 Friday, 25th July, Carole will be talking to Terry Day, musician, poet and artist who she had known since the mid 60’s. We will reminisce a bit about the old times and play a few early recordings before moving on to Terry’s more recent activities. Hopefully Terry might recite one of his many wonderful poems. "Carole Finer talks about the sounds she hears and the people she meets, from right now to way back in the past. Expect live banjo music; recorded traditional, squeaky wheelbarrow and anything-in-between music; poetry; field recordings; reports on events and now and then live interviews and performances with guest musicians and artists selected from her many brilliant friends, acquaintances and family". Produced and presented Carole Finer. Greg and Jeff, our two inimitable Selfish Guard on a mission, get up to no good in L.B. (Los Bingeles). Imagine an empire, imagine an empire that encompasses the entire world with the exception of Australia and Patagonia. Imagine that empire is ruled by a has-been one hit wonder pop star with a chip on his shoulder and a deep hatred of pizza, couscous and cold mushrooms. Imagine no more. The Bing Selfish radio show tells the amazing, harrowing and touching story of the Selfish Empire. It's a musical, a drama, a satire and much more... A wild, magical, musical waltz through centuries of cruelty and laughter. An irresistible story of intrigues, plots and deadly satire, interspersed by heart-stopping songs and melodies. …..starring Bing Selfish, SuNray Jahchild, Lonesome Andi Haller and a cast of millions! Jonathan Coe is the author of several acclaimed and best-selling novels including the caustic satire of British life in the 1980s What a Carve Up!, The House of Sleep and The Closed Circle. His portrayal of childhood in 1970's Birmingham was adapted for television by the BBC. The High Llamas are unique sonic innovators, combining Brian Wilson-inspired pop symphonics, Tropicalia, German electronica and Italian soundtrack music. The High Llamas are responsible for with a series of acclaimed albums from their debut Gideon Gaye through the now-classic Hawaii and Snowbug and most recently Can Cladders. Sean O'Hagan is one of the most significant Irish musicians to emerge from the post-punk period and has since gone onto develop a major career with The High Llamas (with Marcus Holdaway, Jon Fell, Rob Allum, Dominic Murcott, Pete Aves) and collaborated with some of the leading artists from across the progressive music scene. Writer Jonathan Coe is a long-time admirer of The High Llamas work and has responded to an invitation to create a series of texts inspired by and to be performed with their music as a musical theatre piece for Analog in 2008. The collaboration is taken a step further with Tom Creed (Playgroup) directing the piece with actors from the Playgroup Company alongside The High Llamas. 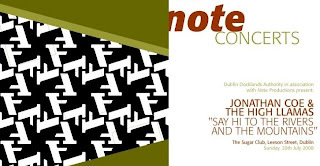 Coe's texts (both monologues and dialogues) reflect the pastoral interests of the bands recent music and are set as a contrast to the ongoing development of Dublin's Docklands where the piece will be performed. Domino Records annuncia l'intenzione di ristampare ad ottobre gli album di Robert Wyatt da Rock Bottom a Shleep. Dovrebbero essere realizzati sia in vinile sia in compact disc, nella confezione digipak. The first nine albums from Robert Wyatt's solo career will be reissued on October 27th. The album re-release spread starts with 1974's Rock Bottom going all the way upto and including 1997's Shleep. This comes as welcome news for fans of Rock Bottom, as this has been known to change hands on eBay for upto £200. Tra le più recenti attività di Partridge sono le collaborazioni con Pugwash e Lighterthief, nei rispettivi album Eleven Modern Antiquities e Stutter Drop. Per l'estate ReR Megacorp augura buone vacanze offrendo notevoli sconti - dal 15% al 25% - per gli acquisti effettuati tra il 15 luglio e il 20 agosto. Poi per settembre sono attese le pubblicazioni dei tre titoli attualmente in sottoscrizione: la riedizione dello storico doppio Recommended Sampler uscito nel 1982 con la partecipazione dei più importanti artisti e gruppi allora in catalogo (Faust, Art Bears, ZNR, Robert Wyatt, The Residents, Henry Cow, This Heat, Art Zoyd, Univers Zero, Stormy Six, Aqsak Maboul, Picchio Dal Pozzo, Goebbels-Harth, The Homosexuals, The Work, Feliu Gasul, The Muffins, R. Stevie Moore, Conventum, Racaille-Portella tra gli altri); una speciale edizione di rare opere di musica e poesia dell'avanguardia russa del periodo 1908-1942 con contributi di autori quali Arseni Avraamov, Dziga Vertov, Mayakovski, Jandinsky, Malevich, Larionov, the Psycho Futurist Group e molti molti altri; un cd dal vivo completamente inedito per Henry Cow, Stockholm, tratto da una registrazione effettuata per la radio svedese nel 1977. Il cd, a tiratura limitata, farà da apripista al favoleggiato - ma ormai in dirittura di arrivo - 40th Anniversary Henry Cow Box Set, doppia confezione di 9 cd e 1 dvd, tutti inediti e tutti dal vivo, che vedrà la luce entro la fine dell'anno. Così annuncia il voluminoso corpus Chris Cutler, invitando ad effettuarne già ora le prenotazioni: "Assembled over 15 years, this collection gives for the first time some idea of the breadth and depth of Henry Cow’s work. 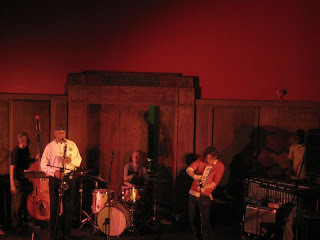 Always very much a live band, performance was their metier, and a concert might range far - always driven by an intense dialogue between tightly knit compositions and radically open improvisation. The officially released LPs tell at best only half this story, and one purpose of this definitive collection is to set the work back into its broader context. These are all previously unreleased recordings, that include many compositions and improvisations new to anyone who only knows the official releases, documentation of a number of one-off projects and events and - where different or remarkable enough to justify inclusion - live versions of parts of the LP repertoire. Many of these recordings are high quality radio transcriptions taken directly from the original masters, others are less hi-fi, but justified we think by their historic and musical quality. And everything has been carefully transferred and re-mastered by Bob Drake to the best audio quality that current technology allows without interference or tampering. It’s all a million times better than the terrible bootlegs that are swimming around. 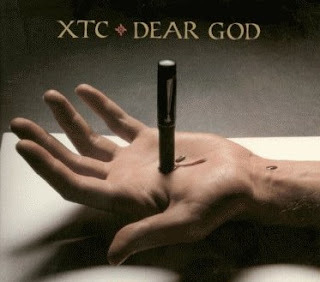 Altogether, these 9 CDs embody some extraordinary, and occasionally prescient music. Taking this box together with the officially released albums, it is possible at last to get some impression of the extensive ground Henry Cow covered in its 10 short years. Finally, there is the DVD: 80 minutes of the 1976 Cow (with Georgina Born and Dagmar Krause) performing many unreleased pieces as well as Living in the Heart of The Beast, Beautiful as the Moon &c. This is the only known video recording in existence - professionally made, multi camera - and has not been recovered since its original broadcast (just scour U-Tube, HC is conspicuous by its total absence). And last but not least, there is a great deal of written, photographic and textual documentation. Since this will probably be the last and definitive collection, it has to be thorough. For reasons of fairness and cost we have decided to split the set into two boxes - which can be bought separately or together. VOL 1 covers the period 1971 to the 1976 Hamburg radio show which documents John Greaves’ last concert with the band, as well as the extraordinary Trondheim concert from the quartet tour that immediately followed. VOL 2 takes the story through to 1978 and includes more previously undocumented compositions as well as the Bremen radio recording. The Stockholm CD belongs to this second box, which also contains the DVD." 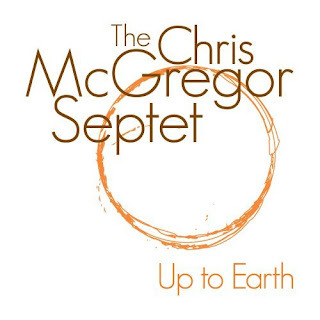 In 1969 the Chris McGregor Group were riding high on the London jazz scene, playing and hanging out with all the rising stars of British free jazz. Sessions for the previously unreleased Up To Earth brought together a dream team of South African exiles and some of the finest young players on the British scene: Chris McGregor (piano), Mongezi Feza (trumpet), Dudu Pukwana (alto saxophone), Evan Parker (tenor saxophone), John Surman (baritone saxophone and bass clarinet), Barre Phillips or Danny Thompson (double bass) and Louis Moholo (drums). 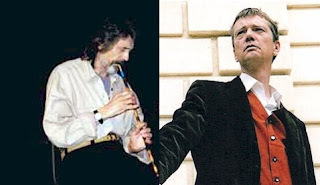 The album was produced by Joe Boyd and engineered by John Wood at Sound Techniques studio in London, during the same months they were also working with several other luminaries of the Witchseason stable - Fairport Convention, Nick Drake and The Incredible String Band. The album was mastered and test pressings produced before the project was shelved. 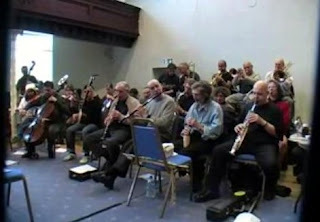 The group morphed into the spectacular big band - The Brotherhood Of Breath - and all energies were transferred to recording the Brotherhood’s debut album. E' ora ufficiale il programma dei tre giorni del Jazzfestival Frankfurt 2008 (30 ottobre - 1 novembre), ed è in corso la prevendita dei biglietti (tel 069-155-2000 e anche online, con prenotazione del posto, in http://tinyurl.com/6d9k4e). Come è noto, la serata centrale del festival è curata da Robert Wyatt e sarà interamente dedicata alle sue musiche, interpretate e reinventate da tre diverse formazioni: Market Rasen, Dondestan! e Annie Whitehead's Soupsongs, cui si uniranno gli ospiti Michael Mantler e Gilad Atzmon (e forse lo stesso Wyatt). Robert Wyatt, founding member and ex-drummer of the Band “Soft Machine“, has emerged as an iconic figure of the contemporary music scene since he released his first solo-album “Rock Bottom“ in 1974. As a singer and songwriter he consistently guested with various acts, including favourite Rock- and Jazz-Musicians like Carla Bley, Michael Mantler, Elvis Costello, Brian Eno, Sting, Björk and David Gilmour. Last year his fifteenth solo-album “Comicopera“ proved once again that nobody can elude the magic of Robert Wyatt’s sound-imaginations. As the wheelchair-bound musician has not been on stage for years, the 39th German Jazzfestival Frankfurt will be one of the really rare chances to experience Robert Wyatt’s music. Whether the artist himself will be there, is not certain. 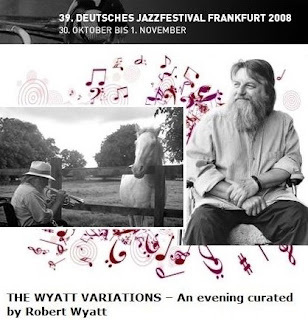 Robert Wyatt has curated a whole evening entitled “The Wyatt Variations“ when three different bands reinvent his oeuvre. Annie Whitehead and her Band “Soupsongs“ will present a congenial interpretation of Wyatt’s Songbook, whereas the trio “Market Rasen“ with the Austrian saxophonist Max Nagl prefers a gruffer approach, the French/British/American band “Dondestan!“ with Karen Mantler featuring her father Michael Mantler as special guest might emphasize the aspects of chamber music. The Israelian author and saxophonist Gilad Atzmon is one of the extraordinary voices of the actual scene. As a close friend of Wyatt, Atzmon will perform not only with his highly esteemed “Orient House Ensemble“, but also as a special guest in Annie Whitehead’s band. L'emittente radiofonica tedesca SWR pesca dagli archivi un'oretta di Soft Machine d'annata per trasmetterla domani sera, sul canale 2, a partire dalle 19.05. 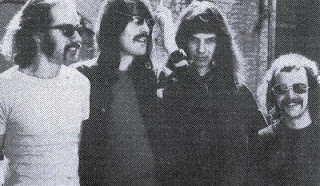 Era il 17 ottobre 1971 e a Donaueschinger, per il Musiktage Festival, c'erano Mike Ratledge, Hugh Hopper, Elton Dean e Phil Howard. 1966 gründen im britischen Canterbury vier Männer eine Band, die sie nach einem Roman des Schriftstellers William Burroughs „Soft Machine“ nennt. „Soft Machine“ will von Anfang an keine gewöhnliche Rockband sein, sondern sieht sich eher als künstlerisches Projekt, experimentiert mit damals ungewöhnlichen Elementen wie Lightshows, Soundcollagen, ungerade Rhythmen oder Jazzharmonien. Die musikalischen Grenzüberschreitungen von „Soft Machine“ werden schnell Kult und sind nicht nur frühe, sondern auch noch heute immer wieder inspirierende Beispiele für eine geglückte Synthese zwischen Jazz und Rock. L'episodio appena occorso a André Cholmondeley, chitarrista e leader di Project/Object, gruppo tra i più attivi e longevi legati al ricordo e alla celebrazione dell'arte zappiana, getta luce ancor più sinistra sulle continue azioni di intimidazione (legali, ma non solo) compiute dalla vedova Zappa e dal suo entourage contro l'uso non gradito o non personalmente autorizzato di qualsiasi materiale anche solo lontanamente riconducibile al marito. Lo racconta lo stesso Cholmondeley - attualmente in tour come manager e curatore tecnico delle chitarre di Adrian Belew, il cui trio suona in apertura ad alcuni concerti di Zappa plays Zappa - in http://zappanale.de, sito dedicato al festival Zappanale curato dalla Arf Society, con Project/Object una delle organizzazioni più prese di mira dalle minacce dello Zappa Family Trust. Il vivace festival, comunque confermato nella sua diciannovesima edizione, si terrà sempre a Bad Doberan, nel nord della Germania, dal 15 al 17 agosto 2008, aperto il giorno 14 da conferenze e proiezioni di vari materiali d'archivio e idealmente anticipato ad Amburgo il 13 dall'evento "Zappa meets Bach", con Bogus Pomp Low Budget Semi-Acoustic Orchestra, Napoleon Murphy Brock e il coro di cantori della chiesa St. Katharinen. Due recenti interviste a Louis Philippe e Sean O'Hagan (The High Llamas) si leggono nel blog Songs and Sonics curato da Jeff Boller. 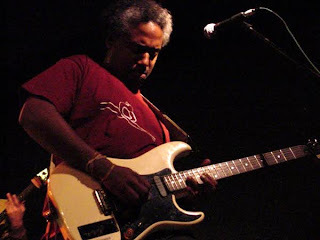 Pochi giorni fa i concerti di High Llamas e Louis Philippe - quest'ultimo in duo con il fido Danny Manners - hanno aperto l'edizione 2008 del festival tedesco Breminale: ne riferisce lo stesso Philippe in Sunshine. A Mike Westbrook riserva un prezioso inserto e un cd splendidamente compilato (anche con inediti) il numero di luglio 2008 di Musica Jazz, mentre nel quadro delle ristampe degli antichi capolavori è finalmente il turno di London Bridge is Broken Down, ora su BGO Records, a vent'anni dalla prima edizione per Virgin Venture. Sul fronte concertistico, oltre alle scoppiettanti uscite estive con The Village Band, si annuncia per l'autunno la ripresa di Off Abbey Road, bella rilettura del celebre album beatlesiano, a una dozzina d'anni dalle ultime esecuzioni. 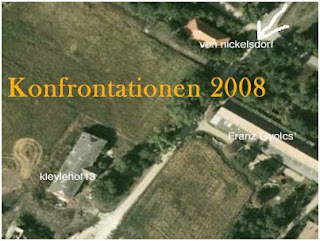 Inizia oggi l'edizione 2008 dell'Avantgarde Festival, tre giorni di musiche e varie attività artistiche e sociali organizzati da Jean-Hervé Peron presso la propria casa di campagna nell'area di Schiphorst, nel nord della Germania non lontano da Amburgo. Musicisti e artisti di diversa esperienza e provenienza si incontrano - e incontrano il pubblico - in modo informale e amichevole, facendo di questo un appuntamento poco paragonabile a un tradizionale festival. 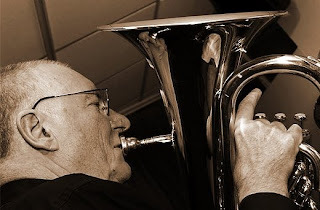 Così lo descrive Chris Cutler, che anche quest'anno sarà tra gli ospiti: "The best atmosphere of any festival I’ve been to in the last 20 years. A celebration of enthusiasm and community. A family affair in a giant farmhouse and grounds, with plenty of social space to meet and eat and talk - artists and public together. Relaxed and luminous musical itinerary. Beautiful countryside in all directions. This is the way a festival should be." 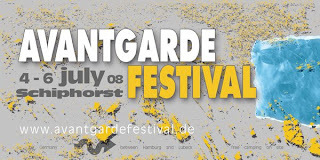 The Avantgarde Festival in Schiphorst near Hamburg is the biggest live event for experimental music in west Europe. Artists and fans of eclectic sounds from all over the world gather on an old farm - last year 15 nations were represented. Apart from bands playing live gigs - some of them are seldom seen on stage, the event is also a platform for installations, film screenings and performances. In contrast to commercial festivals, the main aim of the Avantgarde Festival is to encourage the dialogue between the audience and the artists, and between artists themselves. Consequently no VIP-area or backstage will be provided during the event, which is meant to nurture the direct contact and create an intimate atmosphere. This has already been known to lead to spontaneous performances of guests or jam sessions. Be sure there will be more surprises at this year's festival. The festival has been organized by Carina Varain and Jean-Herve Peron since 1996. Jean-Herve Peron, a frenchman who made Schleswig-Holstein his new home, is well known for being a founding member of the legendary Krautrock band "Faust" and has been involved in several other musical projects throughout the experimental music scene since 1969. On numerous tours he has established worldwide contacts with many artists of various styles. This diversity is reflected in the festival's program: Schiphorst unites musicians from beyond the academic avantgarde, who follow their own personal vision of music and are influenced by rock, jazz, e-music, folk and electronica. More than 60 artists are performing this year from July 4 - 6 . The 3-day ticket costs 50 EUR , day ticket costs 20 EUR. Radiotre Suite Jazz trasmette giovedì 10 luglio 2008 alle ore 23.00 il concerto tenuto da Spring Heel Jack a Pisa, Teatro Verdi, lo scorso 2 dicembre, nell'ambito della rassegna An Insolent Noise. In formazione, oltre a John Coxon (chitarra elettrica) e Ashley Wales (elettronica) erano Orphy Robinson (vibrafono), John Edwards (contrabbasso), Tony Marsh (batteria) e l'ospite John Tchicai (sassofoni). Ispirato nel nome da un favoloso essere diabolico che terrorizzava l'Inghilterra vittoriana – capace di altissimi balzi, di emettere fiamme blu dalla bocca e dotato di artigli metallici – Spring Heel Jack è un duo di maghi inglesi dell'elettronica, John Coxon e Ashley Wales, che hanno lavorato come produttori e compositori (tra l'altro per Everything But The Girl) prima di creare un innovativo duo drum'n'bass; appassionati di musiche innovative, hanno creato un nuovo genere invitando nei loro progetti musicisti come Evan Parker, Leo Smith, Matthew Shipp per una serie di cd sull'americana Thirsty Ear prima di iniziare a produrre i loro propri splendidi cd per Treader. John Tchicai, sassofonista di madre danese e padre congolese, ha partecipato ad alcune registrazioni chiave del nascente free jazz come "Ascension" di John Coltrane, ma anche a "Life with Lions" di John Lennon; fondatore del "New York Art Quartet" e di "Cadentia Nova Danica", Tchicai è un sassofonista capace di combinare narrazione, drive ritmico e senso dello humour in una musica ricca di libertà, spiritualità, e soprattutto freschezza. Per questo progetto speciale Spring Heel Jack si presenta in una formazione allargata a quintetto con alcuni dei più eccitanti musicisti della scena londinese. Nonostante guai e controversie legali tuttora pendenti a carico degli organizzatori, e grazie all'aiuto economico fornito da numerose iniziative di solidarietà tenutesi nei mesi scorsi, si terrà regolarmente - con un minimo spostamento di sede - il festival Konfrontationen a Nickelsdorf (Austria) dal 18 al 20 luglio prossimi. Il programma, che avrà un'anteprima il 16, è al solito ricco di concerti e sessioni di musica improvvisata: suoneranno Peter Brotzmann, Joelle Leandre, Otomo Yoshihide, Thomas Lehn, Roscoe Mitchell, Taku Sugimoto, Phil Minton, Paul Lovens, Kazuhisa Uchihashi, Mats Gustafsson, Tony Buck e molti molti altri. L'abbonamento all'intero festival è di € 70. Alcune riprese video tratte da Kew.Rhone nell'esecuzione dello scorso maggio a Bourgoin-Jallieu sono in http://tinyurl.com/67ecn4, dove si trovano parecchi altri filmati di interesse. 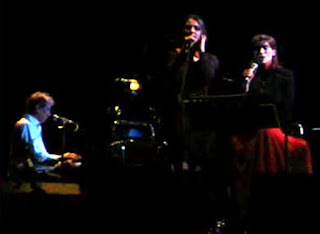 Excerpts from "Seven Scenes from a Painting...", "Kew.Rhône" and "Apricot" from the first-ever full-band performance of John Greaves, Peter Blegvad and Lisa Herman's masterpiece "Kew.Rhône", at Les Abattoirs in Bourgoin-Jallieu in May 2008. Full line-up: John Greaves (piano, vocals), Peter Blegvad (vocals, computer), Lisa Herman (vocals), Jef Morin (guitar), David Lewis (trumpet, flugelhorn), Daniel Yvinec (bass) and Simon Goubert (drums), with vocal assistance by Cecile Bohler and live VJing by Eric Petrotto.